The phrase that I need to remind myself of. My gulay! 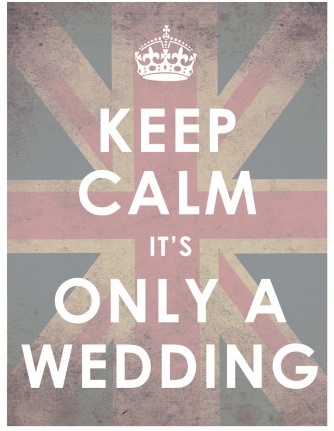 I never thought that planning a wedding has never been this stressful. Reading wedding threads, browsing magazines, doing research on motifs, perfect-yet-reasonable suppliers, churches, reception venue, even to the tiniest details of finding a perfect boutonniere. I can't help it. My mind keeps on thinking about wedding-related stuff up to the minute details. I dunno, maybe I'm just this person who's really into details ugh! Anyway, we're planning to set our wedding on Summer 2014. Yes, I will be a Summer Bride. :) and that's 14 months from now. They said that I still have plenty of time to prepare. Being an overseas bride? 14 months is still too short, I guess. Oh well, I'm trying my best to keep calm throughout the preparation. So I'm wishing and praying that everything will be fine when that day comes. Lord, please do guide us throughout the wedding preps and please do bless us with the perfect yet affordable suppliers hehe. Amen. I've been trying also to remind myself of this phrase from one of the wedding blogs that I read, and I think that this is also important to everyone who's going to marry soon, "It's not about the wedding. It's about the marriage."